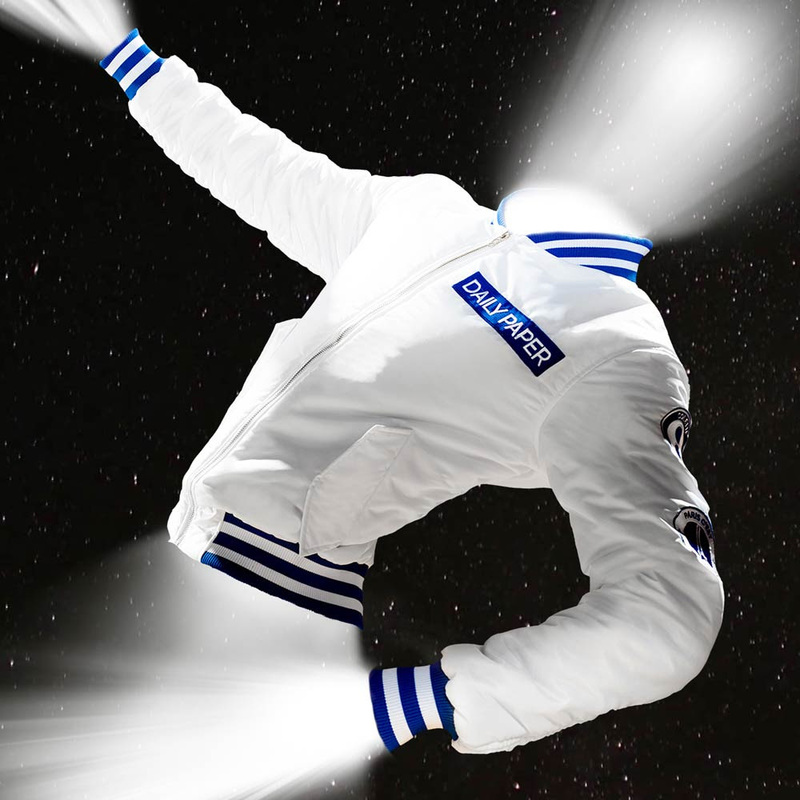 After releasing a blue bomber jacket earlier this year, Daily Paper and colette join forces once again on a new outerwear piece. 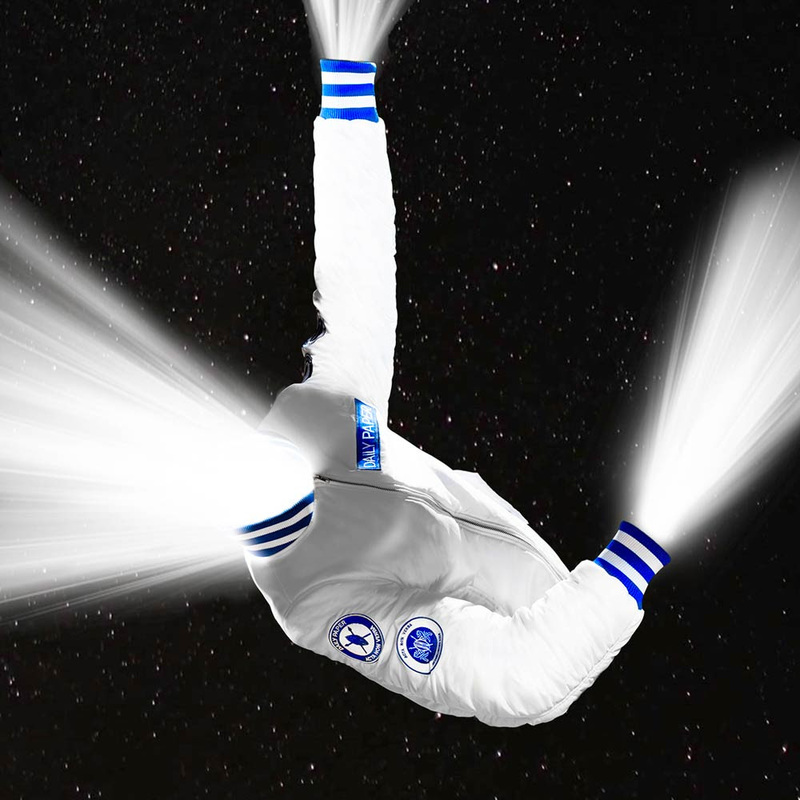 The water repellent jacket comes in a white and colette blue colorway in a classic Daily Paper fit. 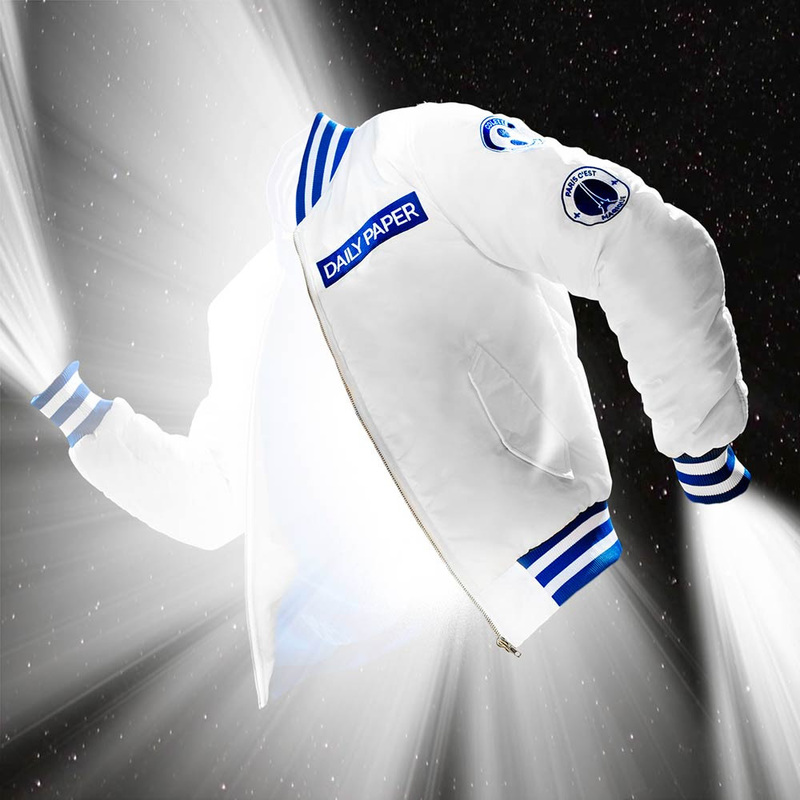 The jacket is finished with sleeve patches and the ribbing has been custom dyed in colette’s iconic blue color. The jacket is limited to only 100 pieces and is now exclusively available online and in store at colette Paris.